Raising Christian kids can be really hard. When my kids were young, it was a struggle finding shows that built good moral character. We watched a lot of different VeggieTales episodes to get us through that season of life. We occasionally still watch VeggieTales when we teach the children’s class at our church or when my 10-year-old son feels like watching one. Did you know that there are 47 VeggieTales episodes available? I’m talking about the original VeggieTales episodes. We haven’t watched all 47 of them but we’ve watched a good amount. Today, I want to share our favorite VeggieTales. VeggieTales is about animated fruit and vegetable characters that star in stories showing good moral character based on a Christian lifestyle. The stories re-create Bible stories. The stories are aimed towards children ages three to eight years old. 1. 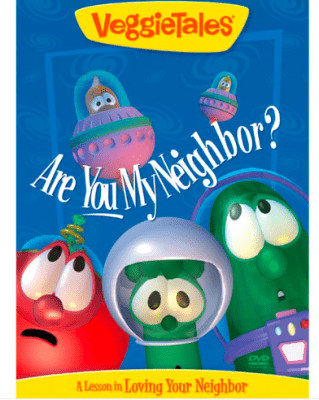 VeggieTales: Are You My Neighbor? I put this as number one on our list because it’s such a great message of loving your neighbor. It teaches a Biblical perspective on loving others. I don’t see this listed anywhere as a digital video rental but the DVD is still available. This is available to purchase on Amazon, click this Are You My Neighbor link to check it out. Click this VeggieTales: Are You My Neighbor link to find additional items related to this episode. This is a great VeggieTales episode for Christmas time. Honestly, it’s fun to watch any time of the year. It gets the kids really excited about Christmas for the right purpose. It kind of takes their eyes off their wants. This is available to rent or purchase on Amazon, click this The Toy That Saved Christmas link to check it out. 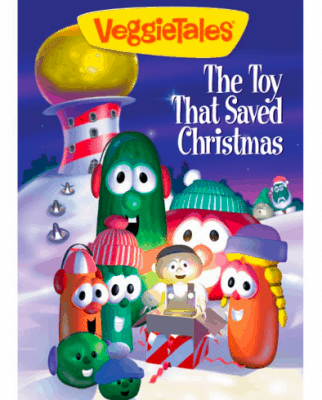 Click this VeggieTales: The Toy That Saved Christmas link to find additional items related to this episode. Peer pressure is a huge problem in the world today. This is based on Shadrach, Meshach, and Abednego in Daniel 3. It helps kids learn to stand up for what is right even if other people take a different path. This is available to rent or purchase on Amazon, click this Rack, Shack and Benny link to check it out. 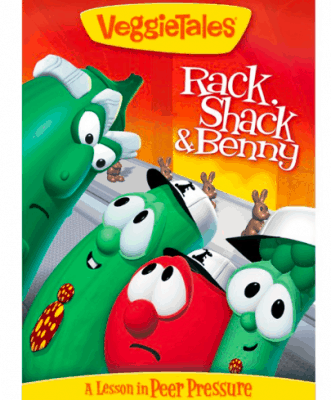 Click this VeggieTales: Rack, Shack and Benny link to find additional items related to this episode. The words we speak are so important. In this episode, the characters learn how quickly rumors can get started. The rumor starts spreading like a weed and they have a hard time stopping it from spreading. This is available to rent or purchase on Amazon, click this LarryBoy and The Rumor Weed link to check it out. 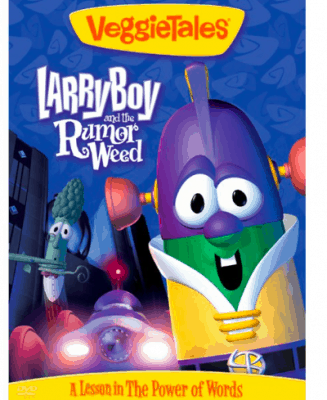 Click this VeggieTales: LarryBoy and the Rumor Weed link to find additional items related to this episode. The Lord calls us to be courageous. If you know the story of Esther, you know that she had to make hard choices. She had to use courage to help her do what was right. The characters in this story get a good lesson in courage. This is available to rent or purchase on Amazon, click this Esther…The Girl Who Became Queen link to check it out. 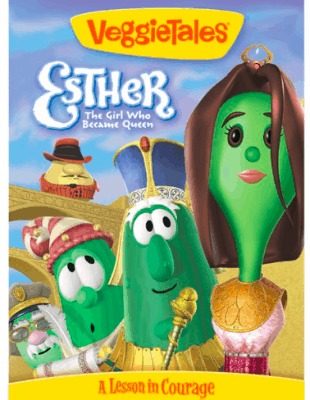 Click this VeggieTales: Esther..The Girl Who Became Queen link to find additional items related to this episode. This is such a great lesson in self worth. We are constantly torn down and need to remember that we belong to the Lord. The characters in this episode learn that they don’t need to be discouraged by others. Their creator made them wonderful and talented. This is available to rent or purchase on Amazon, click this A Snoodle’s Tale link to check it out. 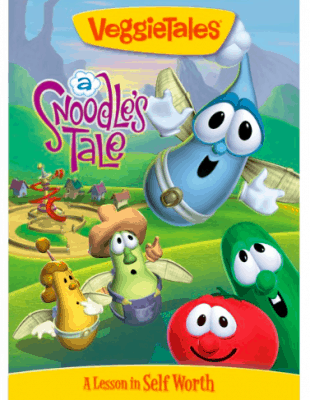 Click this VeggieTales: A Snoodle’s Tale link to find additional items related to this episode. We all are blessed with gifts. We need to choose to use those gifts for good. The characters in this episode go on a quest to see what special gifts they have and how to use them for good. This is available to rent or purchase on Amazon, click this Lord of the Beans link to check it out. 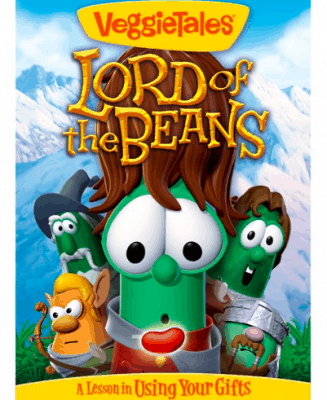 Click this VeggieTales: Lord of the Beans link to find additional items related to this episode. 12 Daily Devotional Apps and They’re Free! Oh, how I love the story of Abraham. It is such an amazing example of patience. Patience is such an important quality to obtain. We deal with is multiple times a day. The characters learn that the promise is well worth the wait. This is available to rent or purchase on Amazon, click this Abe and the Amazing Promise link to check it out. 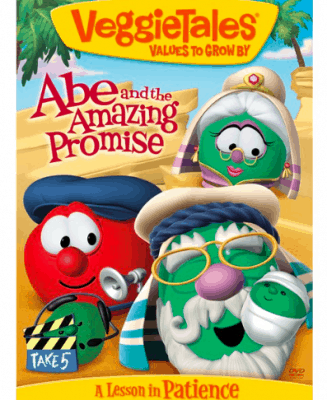 Click this VeggieTales: Abe and the Amazing Promise link to find additional items related to this episode. Another awesome story centered around Christmas. I love this episode because it shows where Saint Nicholas originated from. He definitely wasn’t the Saint Nicholaus we hear of today around Christmas. The characters find out the true joy of giving during Christmas and any time of the year. This is available to rent or purchase on Amazon, click this Saint Nicholas link to check it out. 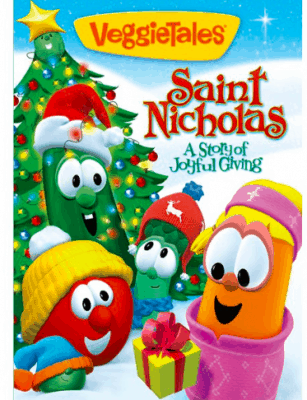 Click this VeggieTales: Saint Nicholas link to find additional items related to this episode. Just like David, we should all desire to be after God’s own heart. Knowing that the beauty inside is what matter most. The characters learn that God made them a special way. That true beauty is how the Lord views us. This is available to rent or purchase on Amazon, click this Sweetpea Beauty link to check it out. 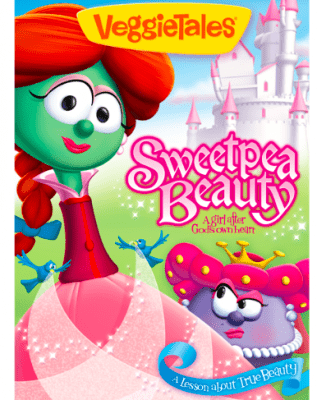 Click this VeggieTales: SweetPea Beauty link to find additional items related to this episode. We are huge VeggieTales fans. 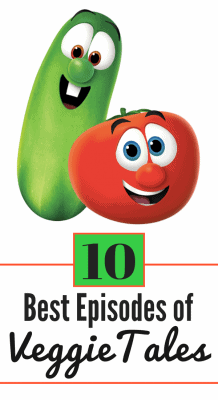 These are only 10 of our favorite VeggieTales episodes. Like I mentioned before, there are 47 original VeggieTales episodes. I did some research and put a list together of all 47 episodes. I listed them below in the order they were released. 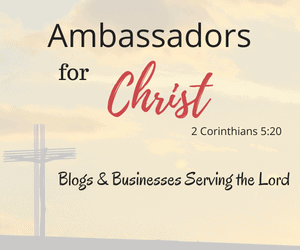 Did you know that VeggieTales has their own website? You can find everything related to VeggieTales on the VeggieTales website. 1. Where’s God When I’m S-Scared? 2. God Wants Me to Forgive Them!?! 3. Are You My Neighbor? 7. Larry-Boy! And the Fib from Outer Space! 8. Josh and the Big Wall! What’s your favorite VeggieTales Episode? Me too! We love watching them. I personally learn some valuable lessons from them as an adult.